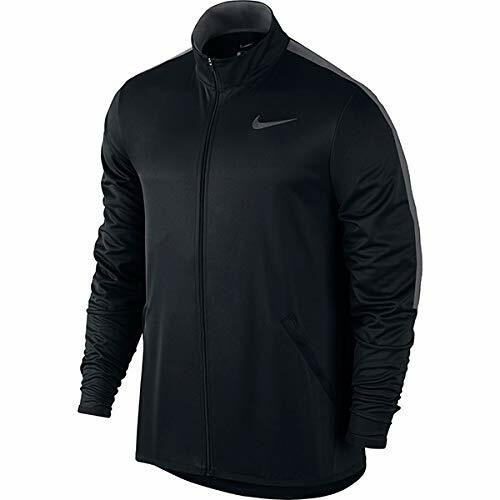 Men's Nike Training Jacket is a full-zip performance piece with Dri-FIT technology to help you stay dry while you work out. Its mock neckline helps keep you warm as you train in the cold. Dri-FIT technology helps you stay dry and comfortable. Raglan seams for mobility. Mock neckline zips up to the chin for warmth. Full-front zipper offers customized ventilation. Fold-over elastic at the cuffs and hem for a comfortable fit. Swoosh design trademark is embroidered on the left chest. 100% POLYESTER.